Part one of the series here. I got a call from Tony of Pereira Cycles saying that the process went smoothly and that it’s ready to be picked up. The dimpling looks like it’s going to work really well. Tony was able to give me six more millimeters (totaling a rear width of 39mm) so now my 700x30’s have a healthy amount of clearance. 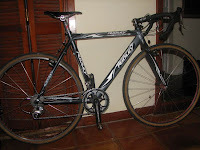 Yeah, it’s not as much as a dedicated cross bike, my Specialized M4 measures 45 mm, but it’ll be enough I think. The dropout spacing changed after the dimpling process though. It was spaced at 130mm before and now its 121mm. 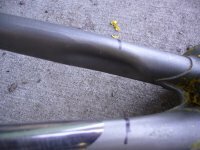 Not a big deal, re-spacing a steel frame isn’t too hard, so I’ve read. 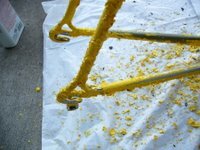 I’ve never actually done it, but Sheldon Brown has a pretty informative tutorial on how to do it on his site here that I am going to do. 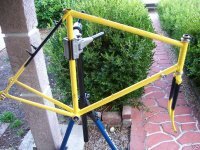 I just need to make the decision, is this bike going to be singlespeed or geared? 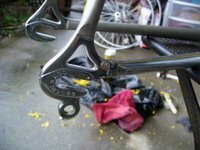 My singlespeed Nishiki (which is also a converted road bike) has 126 spacing and thus my burgeoning collection of SS wheels are spaced at 126mm. 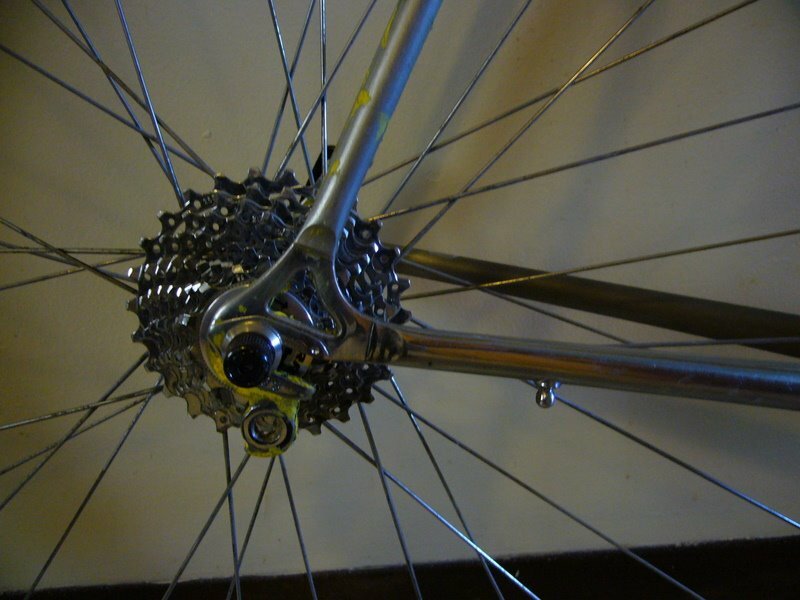 But if I make this geared, then all my cassette type rear wheels are the now standard 130mm. 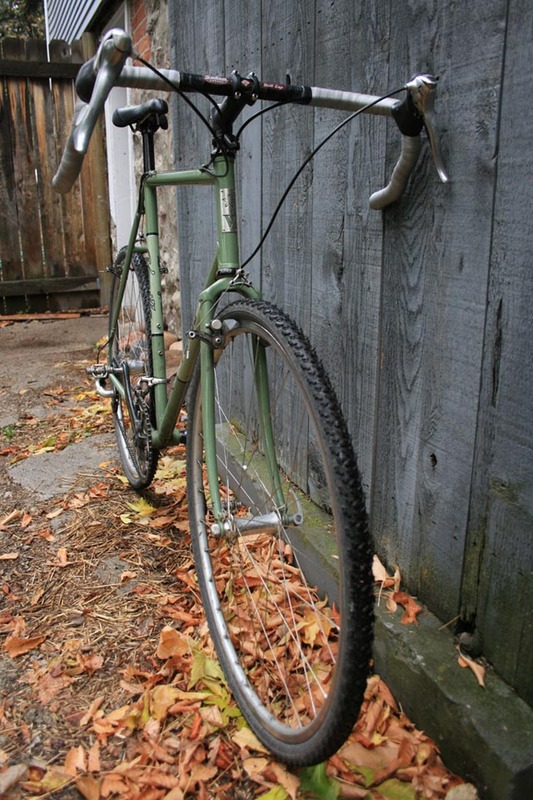 I really like the simplicity of a singlespeed bike. One gear = few problems. 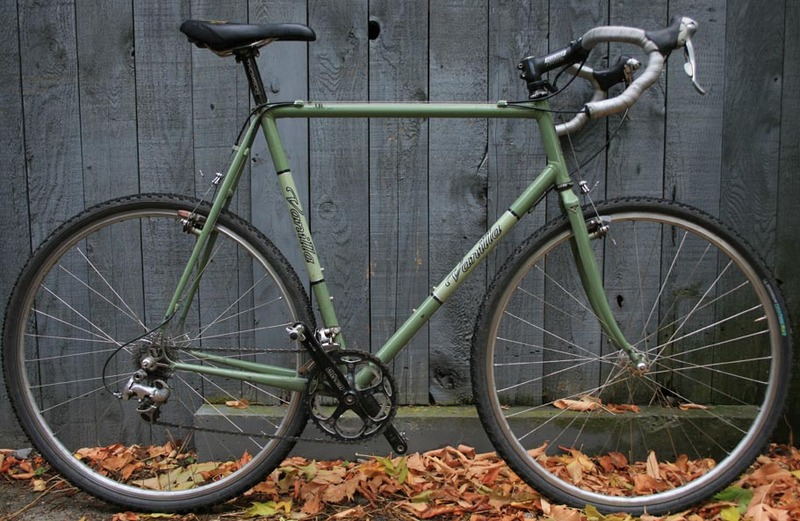 But I already have one of those----do I want two singlespeeds? Currently, my geared Specialized cross bike is in pieces (mainly because I’m lazy and unmotivated to build it up as I’ve been having enough fun with the Nishiki). 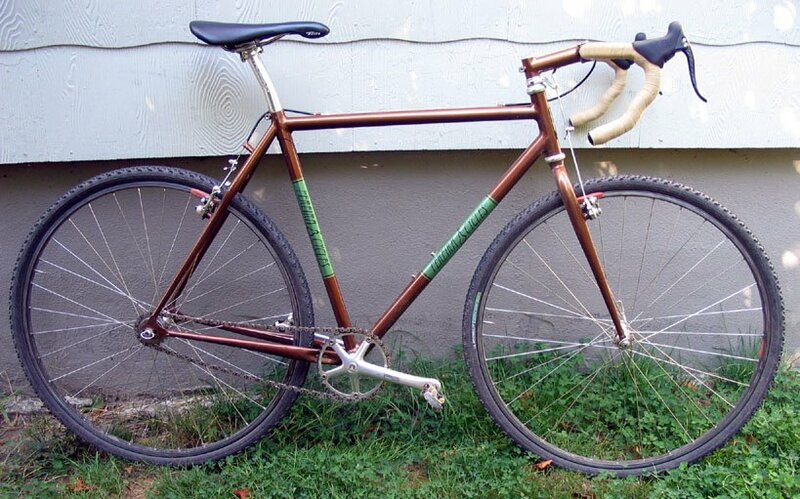 But in the end, I think I am going to make this bike my geared cyclocross ride. 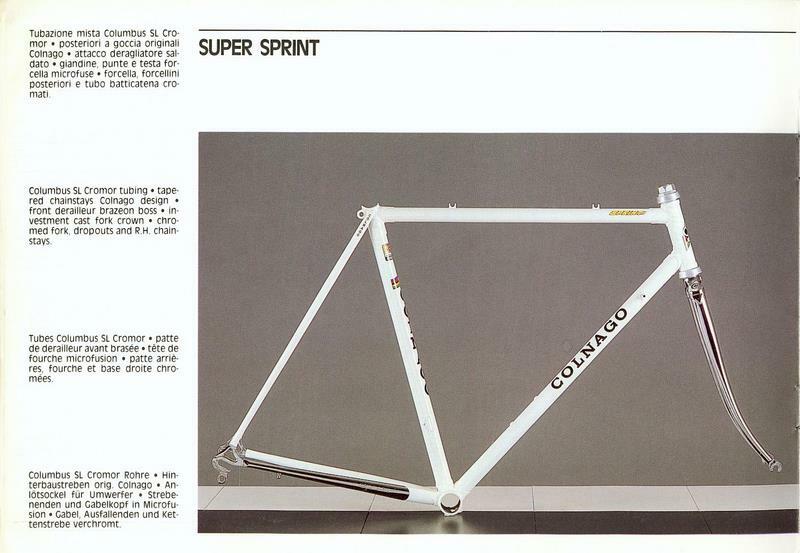 Doing some more research on the frame by looking over the catalogs at bulgier.net, and it looks most like a Super Sprint from the 1988 catalog. 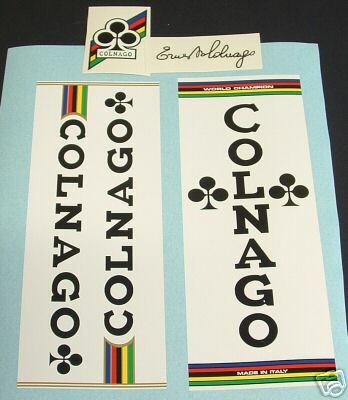 But from what I’ve read all the late 80’s bikes had “Colnago” stamped into the drive side chain stay, and mine doesn’t have that, so it’s a probably an earlier version. 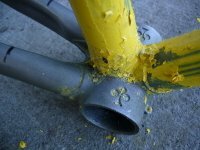 After doing some more powdercoat stripping of the frame and fork, I’ve found what I expected, that the fork was chrome before they brazed the canti’s onto it. But, the crown is still chrome and in good condition, and I will probably leave the crown chrome with the legs of the fork white. 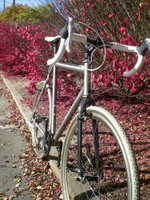 The combination of white and chrome on this bike should look pretty cool, and I already have a cool retro white saddle to go her. Some cool cx video action from Europe on Youtube. 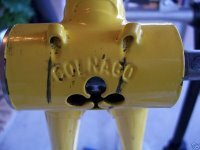 This is the first installment of a series documenting the conversion of a Colnago road bike into a Colnago cyclocross bike. 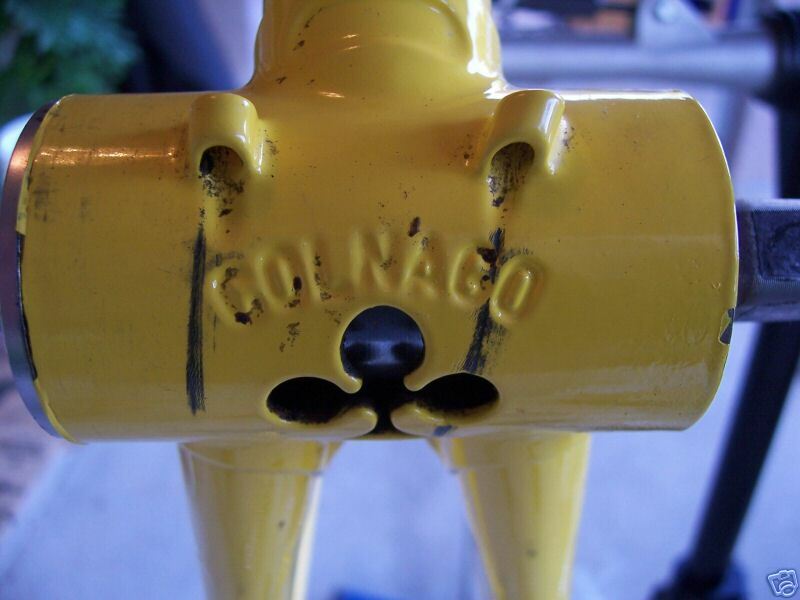 Your first thought might be don’t wreck a perfectly good Colnago frame. But I didn’t, I’m just continuing where someone else left off. I got the frame and fork (which also included a Dura Ace threaded headset and a Shimano BB) from the same source of most of my bike junk---the Ebay. 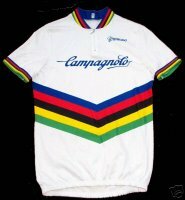 It was being sold as a “cyclocross” bike that was actually just a Colnago road bike with cantilever braze-ons already attached. I was concerned with rear tire clearance, and the seller assured me that he had run 700x35’s in the rear without issue. That news gave me the green light to bid, and I “won” it for $173 plus shipping. 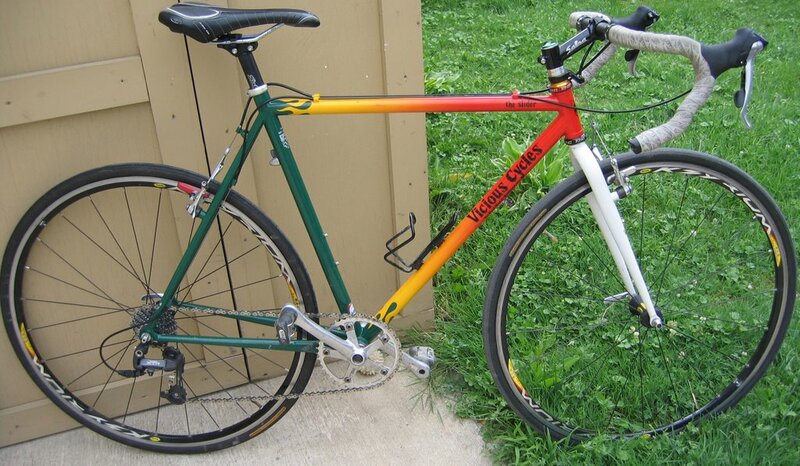 The seller didn’t know the year or model of the frame, but I’ve narrowed it down to an 80’s Colnago Super or Mexico. 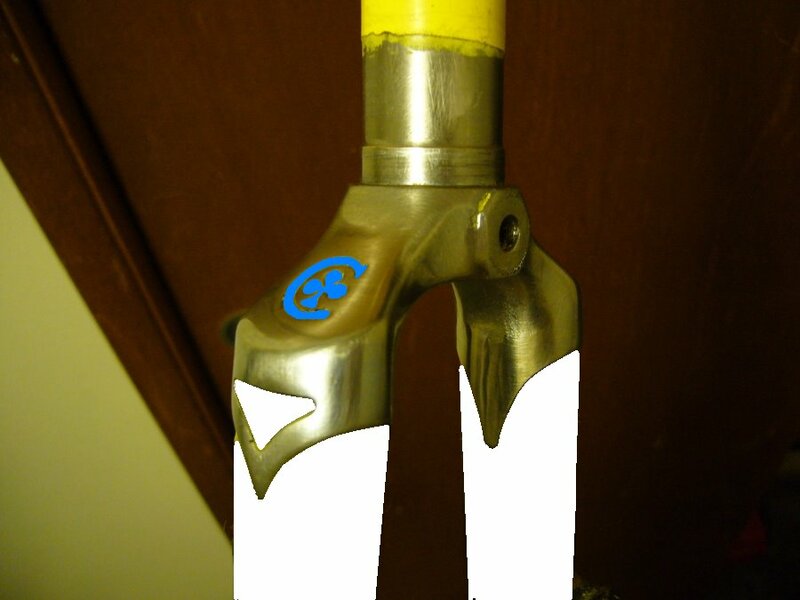 It has cool clover pantographs on the top of the BB shell, “Colnago” etched into the bottom of the BB shell as well as the Colnago clover cut out of the bottom of the BB shell. 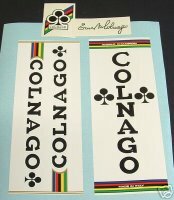 There is also “Colnago” etched into the top of the seat stays, a clover in the head tube lug, and the clover with a C around it on the fork crowns. 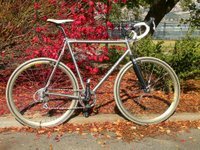 When I received the frame, I was disappointed to find that there was no way 35mm tires were going to fit as my 700x30 Michelin’s rubbed. I got out my calipers and measured the width of the chain stays and it was 33mm. 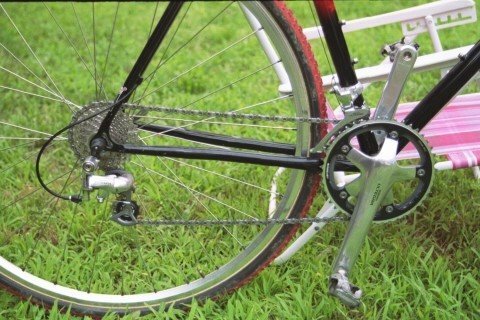 How could 35mm tires fit into a frame that was only 33mm wide? I emailed the seller, and he stuck by his guns saying that he ran 35’s without issue, and that some tires don’t actually measure what they’re supposed to. True, most tires don’t end up at the stated width (those 700x30 Michelins I have actually measure 31mm) but there’s no way his tires could be that mis-measured. Now, I was at a crossroads. 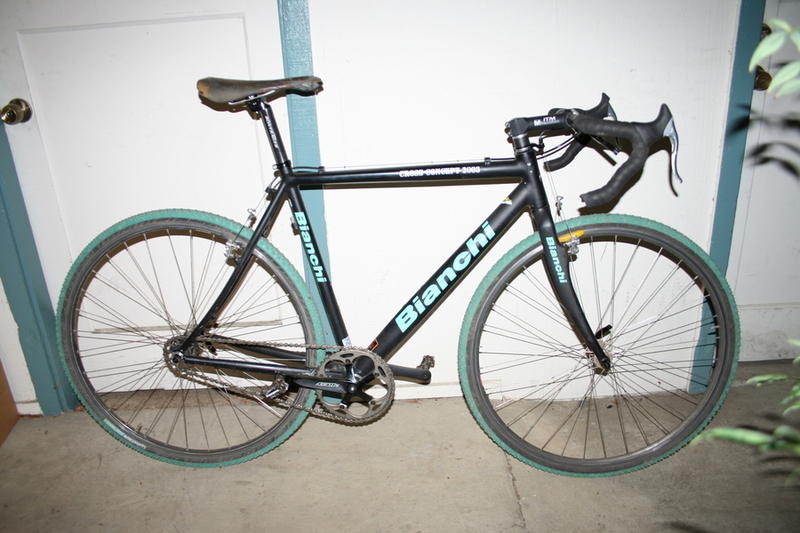 My options as I saw them were to A) run narrower tires like 700x28’s, B) sell the frame as is C) remove the cantilever braze-ons, repaint the frame and sell it as a Colnago road bike (which it is) or D) see if a local frame builder could widen the chain stays so as to allow a wider tire to fit in there. 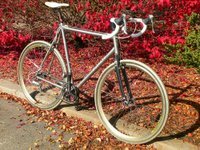 I’ve always wanted a Colnago, and I love riding cyclocross, so I wanted to try and make this frame work, but I didn’t want to use 28mm tires, so I looked into option D.
What I found is that local frame builder Tony Pereira of pereiracycles.com was able and willing to do the job of dimpling the bike, and he’d charge me a reasonable $30 to do it. The catch was that, in so doing, the chain stays may crack and I’d have to not hold him liable for that unfortunate consequence. I was willing to give it a try. Before I took the frame to him though, I used some industrial epoxy/paint remover to get off the old and crap yellow powdercoat (PC) that graced this frame. 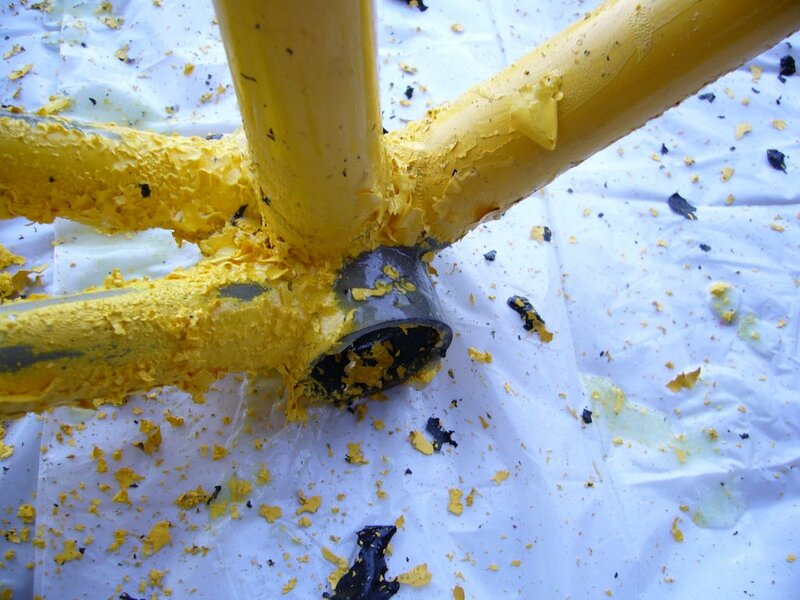 This was not an easy process…the stuff was ugly and on there good. A few days worth of labor and I got the rear triangle fairly PC free. What I found was pretty cool, the dropouts and the right chain stay are chrome. So that’s where it stands now. 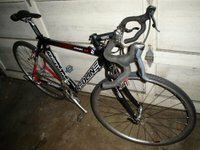 I wanted to send you a better breakdown of the bike and it's parts spec. 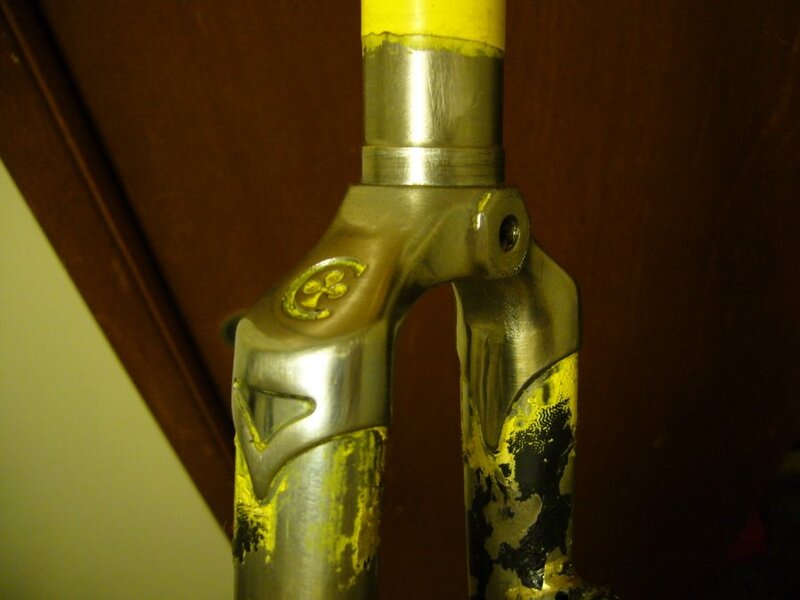 Frame: It's a custom TI DeSalvo that would be about a 60cm, depending on how you are measuring it. 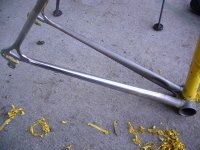 It has a 60c-c top tube. 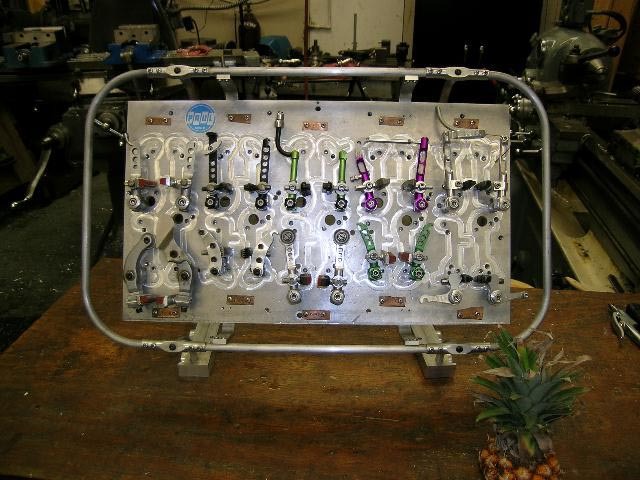 It's made from straight gauge ti and totally bomber. Mike made it completely to my specs and it fits and rides like a dream. I could have went with a longer headtube, but I wanted to have a bit more space under my stem for the cable to be routed. Fork: Reynolds Ouzo Pro Cross. I just got this about a month ago and I'm really digging it. 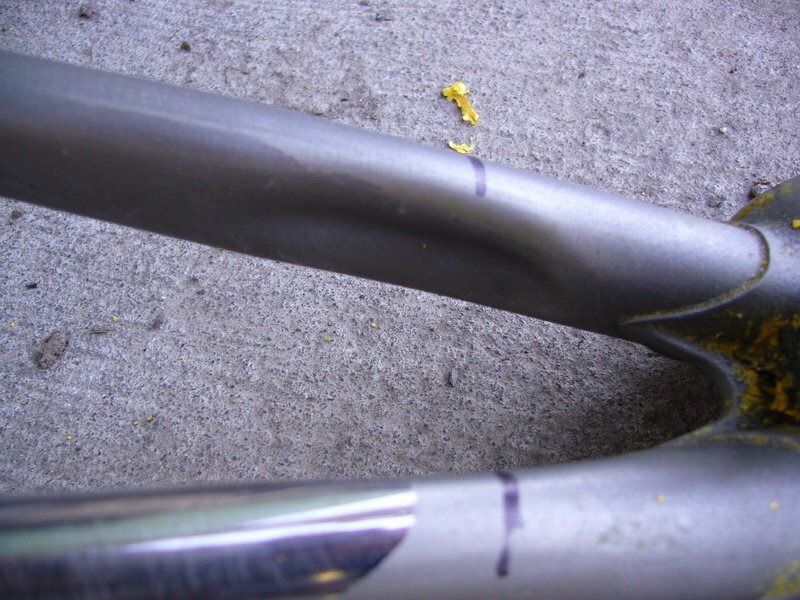 It's lighter thanthe Wound-Up I had on before and rides a bit smoother. 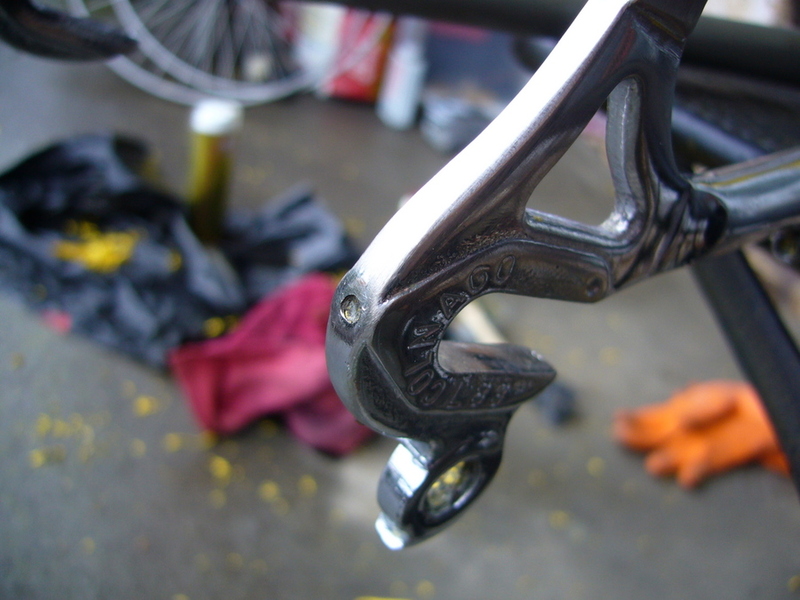 The brake pads also clear the fork legs a bit better. Wheels: I have a set of tubbies and a set of clincers. 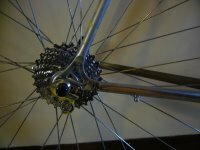 They both use Chris King hubs, are 32 hole and 3 cross front and rear. 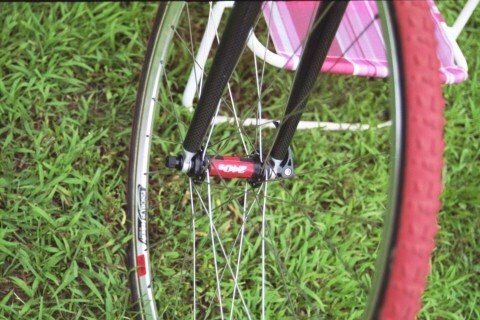 I'm a bigger guy and while light wheels are nice, stiff and durable are a bit more important to me. The tubbies are laced to a set of CXP 30's and the tires are either Challenge 30's for the grassier, muddier stuff or Vittoria 34's for the drier, rockier courses. 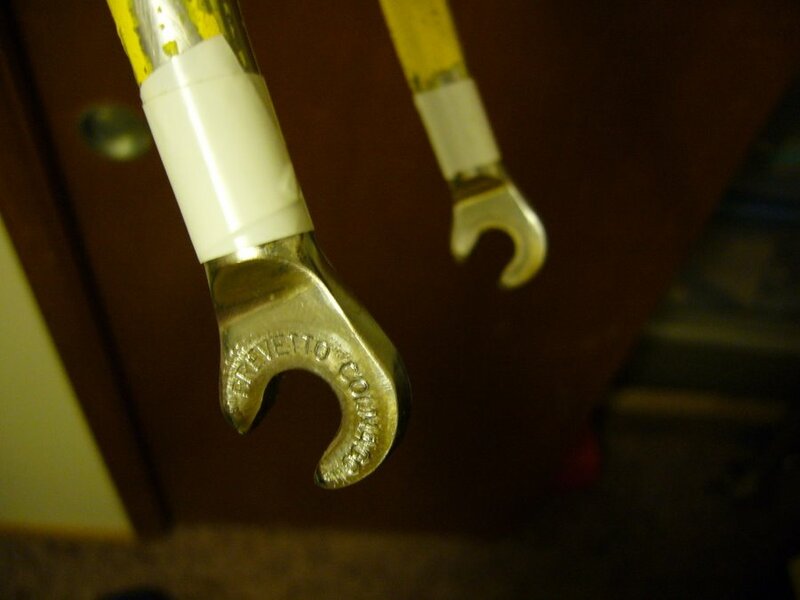 The clinchers are CXP 33's and I run the WTB Interwol's or the IRD Crossfires. 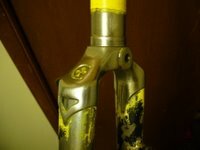 FSA is all over the bike with the headset, stem, bars (the new K-Force Shallow model), seatpost, cranks, rings and BB. 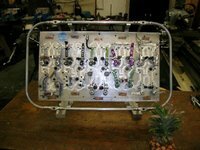 Come race season, I pull the SLK compact double crank and run a single ring on a set of 130 bcd SLK's with the FSA gucci guards. A 12-27 stays on the back year round, but race time calls for the Dura-Ace version, whereas the rest of the year is Ultegra. 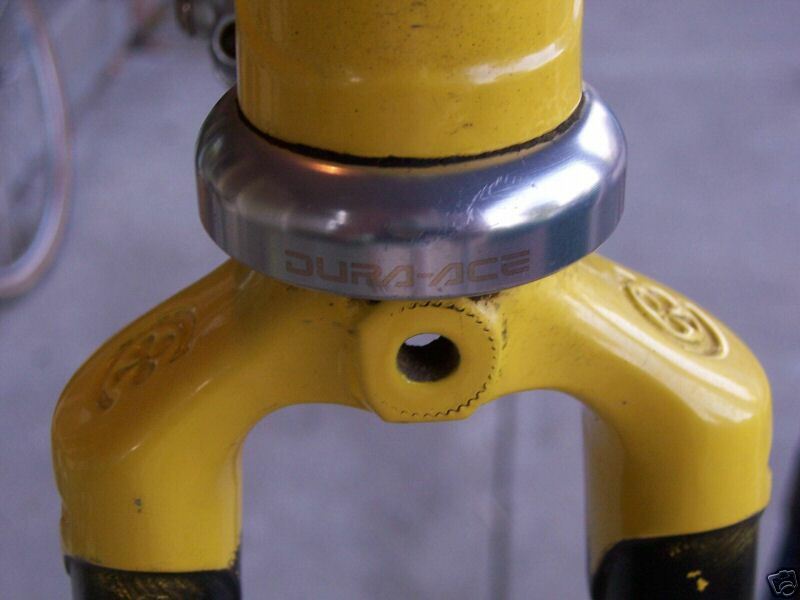 I'm on my last set of original Dura-Ace 9sp STI's, the ones without the Flight Deck nubs. They run a bit narrower and are easire to descend in the hoods. I have gutted a dead left one and use it when I'm in 1x9 mode so the hood shape is the same. When these die, I'll cry big crocodile tears and probably have to pony up for the new 10sp stuff. 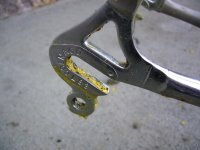 Oh yeah, the pedals are Shimano M959's not Times. Good enough for guys like Tonkin, then it's good enough for me. 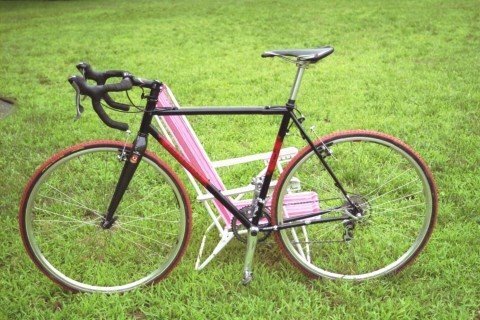 Any hoo, the bike weighs 19lbs. on the dot and is ultra reliable and most importantly to me, quiet. 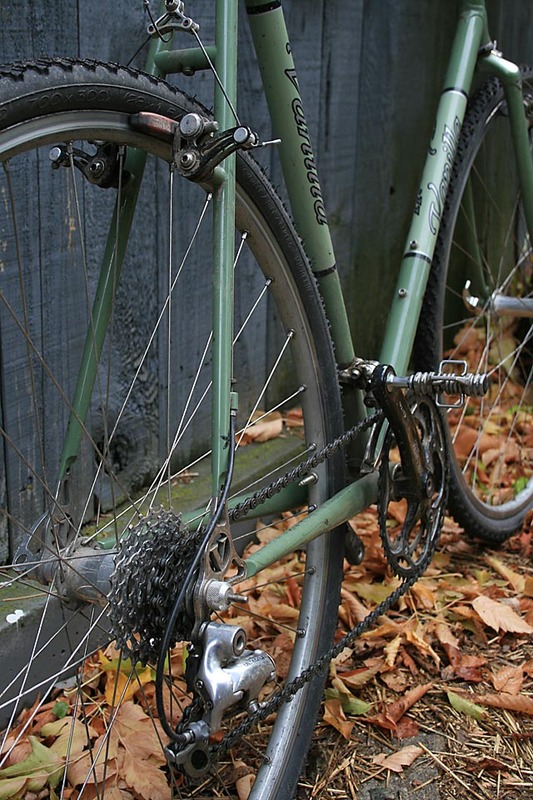 I hate noisy bikes or ones that creak, shudder and groan. 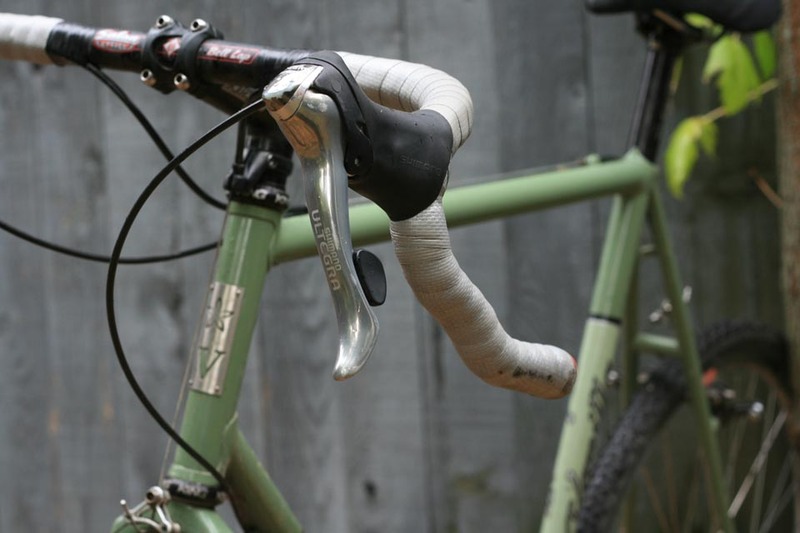 I do enough of that on my own without my bike needing to chime in. Feel free to edit my long winded blah, blah blah if you want. See you at the Crank Bros Grand Prix in Hillsboro. 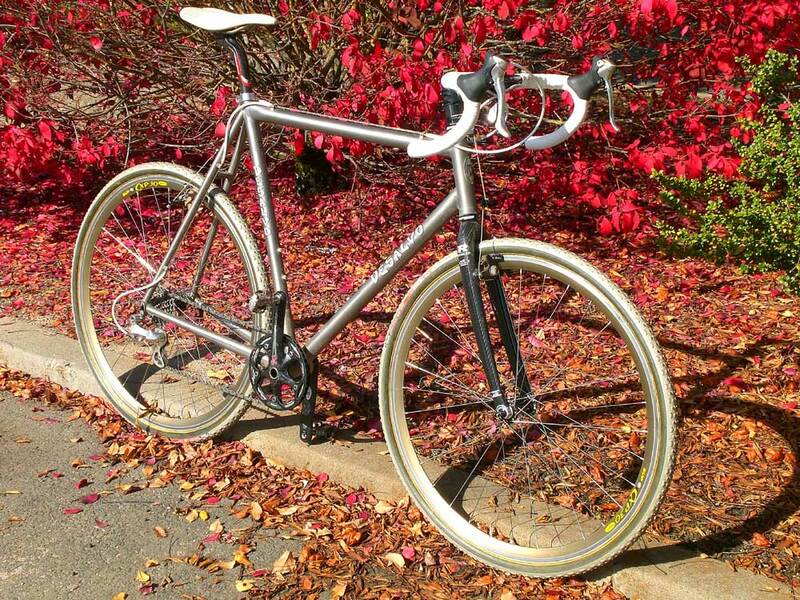 The first titanium cyclocross bike to hit the +1lap Custom cyclocross gallery is Thom's DeSalvo. Cori, Jonathan Page's wife wrote on www.thejonathanpage.com that JP had the surgery today. Excerpt: "It was stressful trying to explain that we just wanted to make sure someone that could speak English would be there to greet him and that I would be notified when he was out of surgery. They took Jonathan. I was very scared. Jonathan was very scared too." Hopefully, JP gets back to 100% and as soon as superhumanly possible as well. 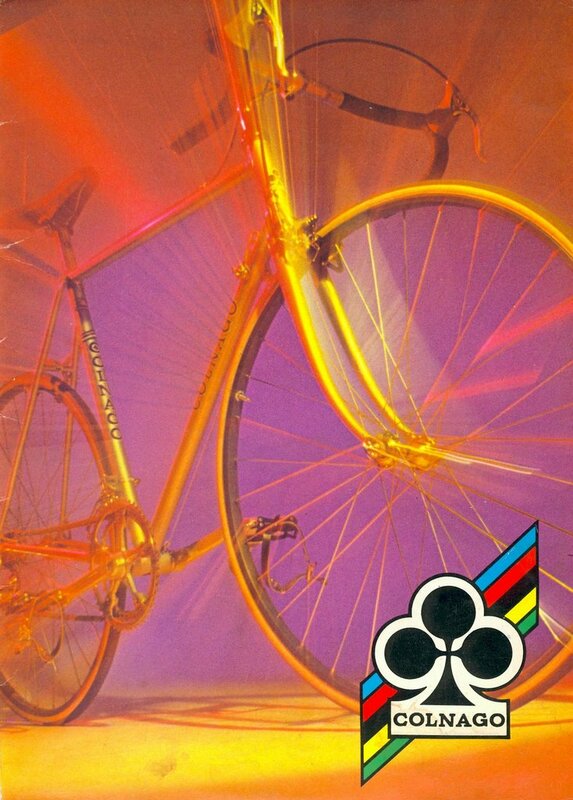 He was just starting to make waves in the Euro-peloton of CX racing and we all hope he can make it back to that state. Heck, maybe he'll have a Lance moment and win the World Champs in a few years because of this experience? I hope so. Finally some Vanilla (made here in PDX) for the +1lap Gallery. 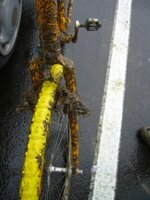 Today was the 2nd Cross Crusade race here in Portland, and starting before I woke up the rain came down pretty good. 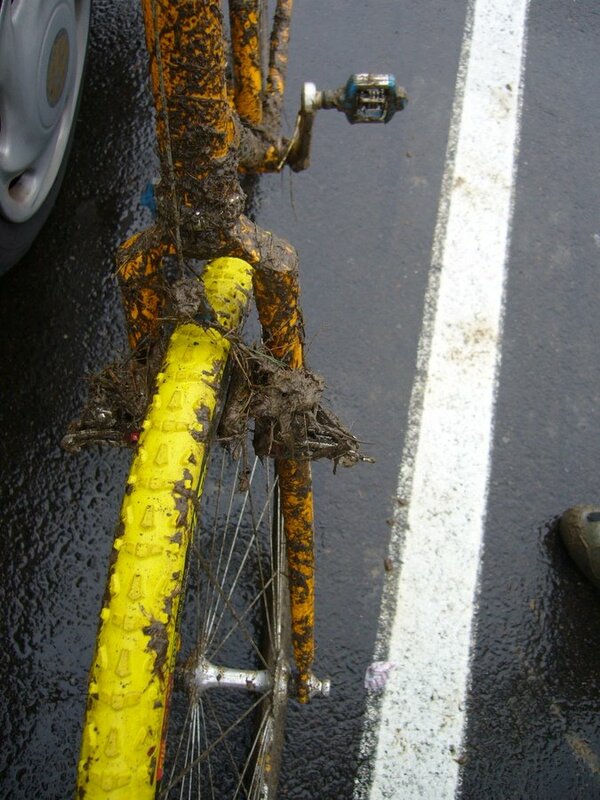 I was excited about this, cause I havent raced in mud before. The rain kept pouring when I arrived at the race I was able to pre-ride some sections of the course before my race in the SS division began. The race went okay for me, I was able to stay competitive and catch some guys in the latter half of the race. And unlike last week where I was dead after a few laps, today, I was surprised to see the 1 lap to go card so "soon" even though it came at the right time. The mud was very slippery and people were sliding all over the course which was pretty cool. No idea how I finished, but the race "felt" a lot stronger than last week. 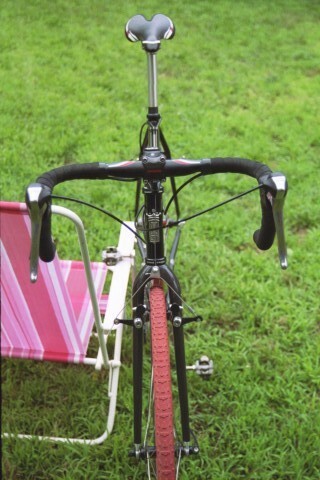 This is Jacob's 2006 red and black Independent Fabrications cyclocross bike. The red and black colors look really cool and the bike looks set up really nicely as well. 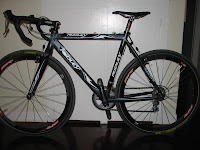 Thanks Jacob, if any reader's have a custom made cyclocross bicycle, email it to me at plusonelap@gmail.com, because everyone likes bike pRon. A Redline for the light cyclocross gallery! 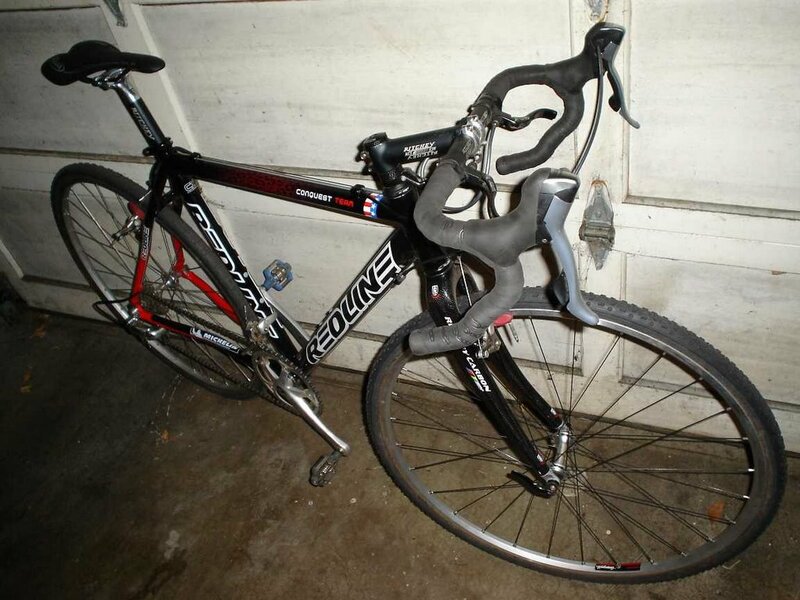 This is the new Redline model 2006, and is John-Christian's back up rig, sweet. Jonathan Page out for season now? It seems JP has torn his rotator cuff and wont be "full gas" til 2-3 months. This is pretty bad, if everything goes well he might be able to race at World Champs? Lets hope so. 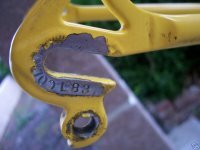 Paul is the guy with the reader question about single rings and dropped chains, which I posted last week. 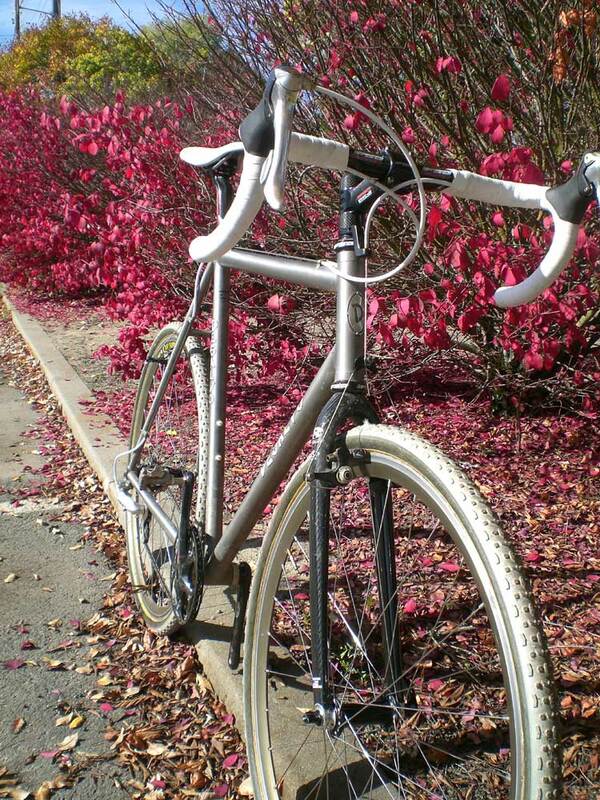 He also sent me a pic of his Vicious Cycles cyclocross bike. or cared, but here you go anyway. 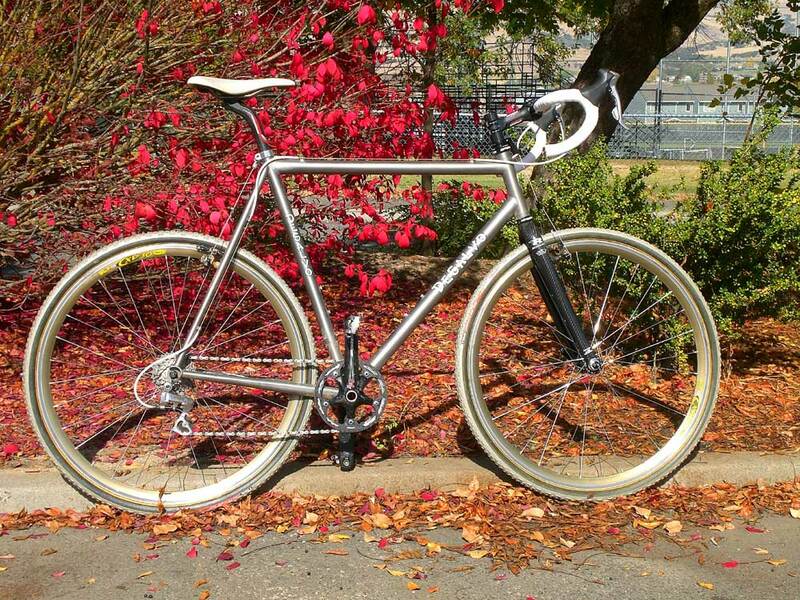 Thank you Paul, looks like a sweet ride, let us know how you stop your chain from dropping. 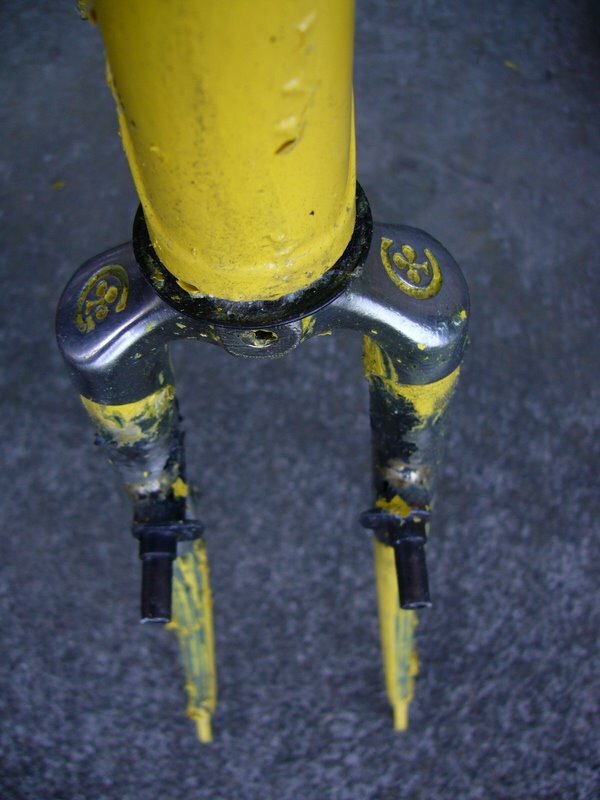 In it he said,"My front wheel slipped out and I landed smack on my forearms. I immediately knew what had happened and couldn't help but scream bloody murder. I passed out and then came to as people were making their way to help me. I pulled my arm up and slammed my shoulder back into place." It goes on to say that he will only miss the next 2 races, if everything goes as expected, so thats truly very good news. 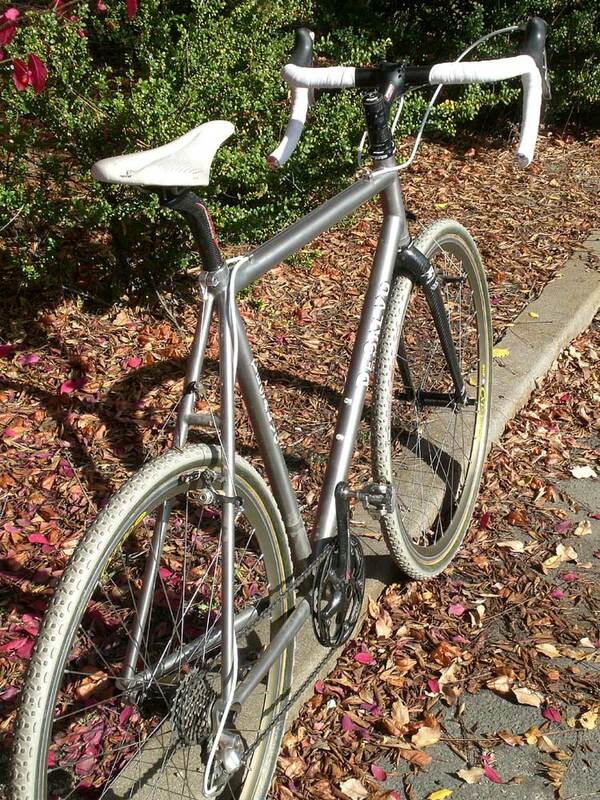 Local framebuilder Tony Pereira sent a photo of his custom Pereira cyclocross bike. 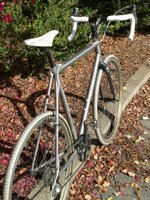 Tony not only builds 'em, but catch him racing this singlespeed rig in the local Portland races too.